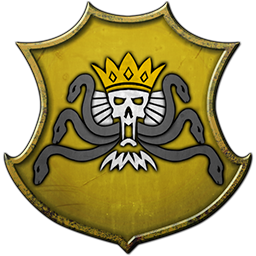 Luthor Harkon’s fierce hatred of Lizardmen significantly hampers diplomatic relations but gives him a notable edge when leading his armies against them. Luthor Harkon’s mind is fractured, meaning any one of his myriad different personalities can seize control – with unpredictable consequences. Luthor Harkon can take to the skies astride a fearsome Death Shriek Terrorgheist. 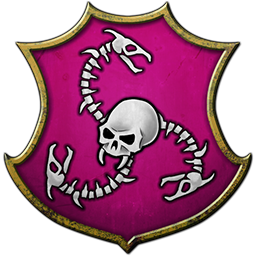 This filthy lucre reduces the cost of raising the dead, increases magic resistance, and reduces the Winds of Magic starting amount for enemy armies. 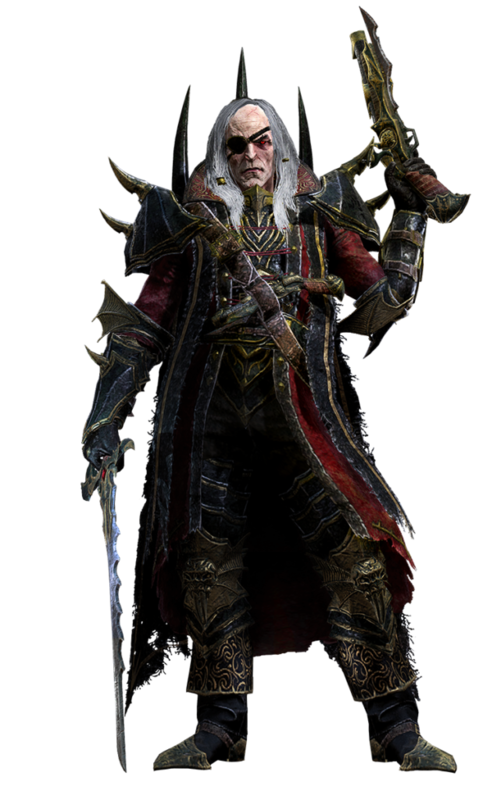 Luthor Harkon is no stranger to battle, his thousands of years of experience bolstering the leadership of his Depth Guard and Zombie Deckhands as well as increasing hero capacity for Vampire Fleet Captains. Luthor Harkon’s connection to the Winds of Magic was violently severed, increasing his magic resistance and reducing the Winds of Magic starting amount for enemy armies. 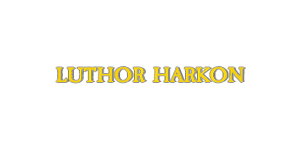 Luthor Harkon’s bullets pack an explosive punch, increasing missile damage for both himself and his Zombie Gunnery. Flashes of clarity through the madness serve to increase Luthor Harkon’s armour and melee defence. 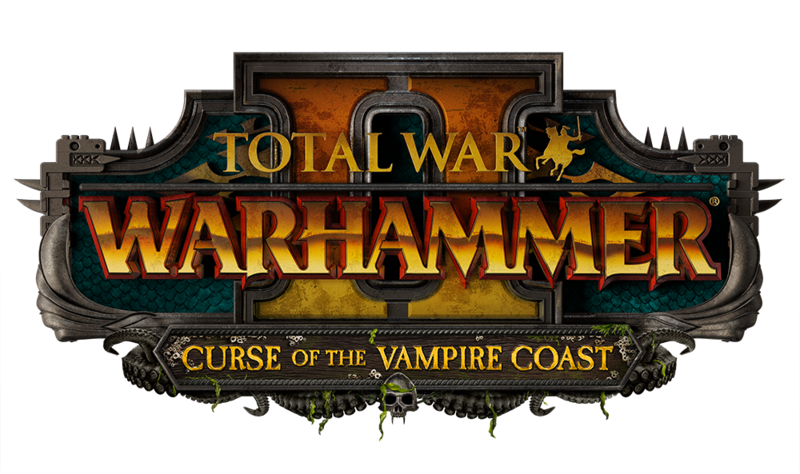 Luthor Harkon’s reign as Pirate King of the Vampire Coast is absolute, reducing unit upkeep for Harkon’s army and increases global recruitment capacity. Luthor Harkon’s shattered psyche can result in some unpredictable benefits, allowing him to unleash destructive frenzies against his enemies as well as increasing his leadership. 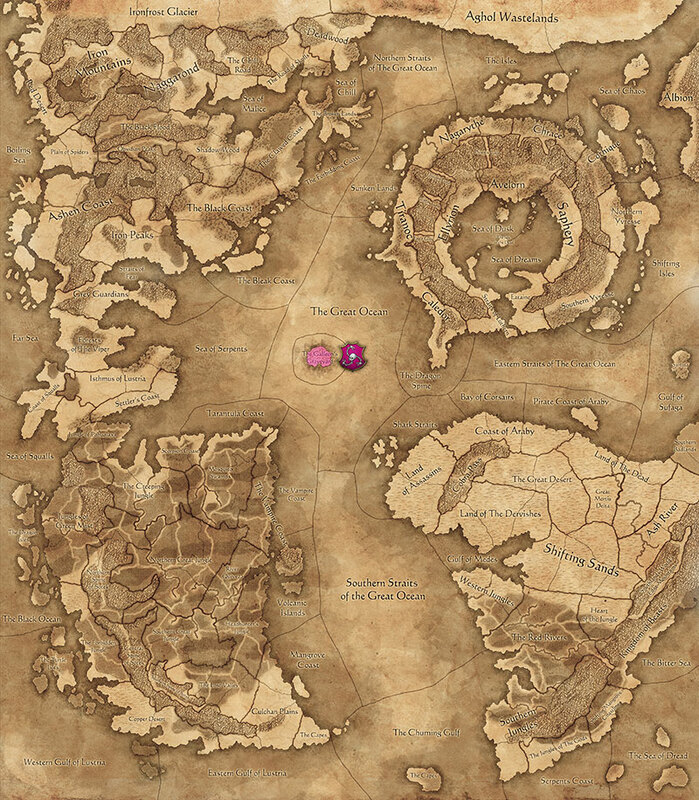 As Mistress of the Deep, Cylostra Direfin’s very presence increases the loyalty of new recruits while also reducing the upkeep and recruitment costs for Mournguls and Syreens faction-wide. 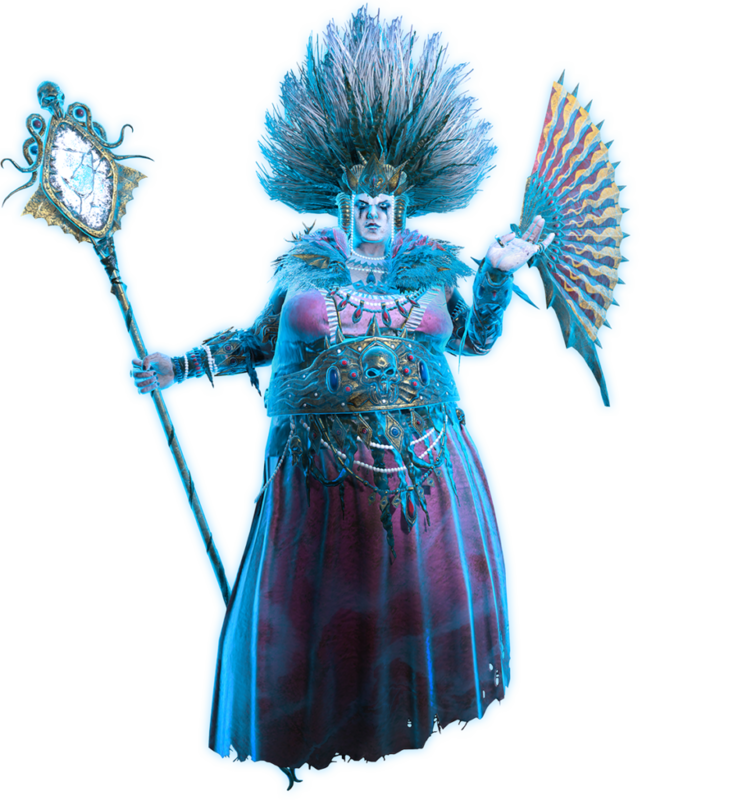 Cylostra Direfin can offer the loyal followers in her army increased physical resistance while also enabling magical attacks. Cylostra Direfin can take the field resplendent on the back of a Rotting Leviathan. 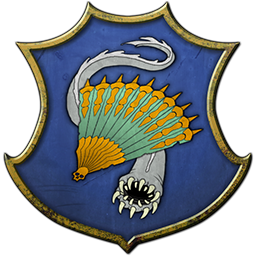 Cylostra Direfin’s ornate ceremonial fan increases public order in all provinces and vampiric corruption in local provinces. 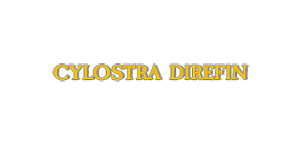 It also grants Cylostra a passive ability that reduces ability recharge whenever she casts a spell. Cylostra Direfin can call forth spectral Bretonnian knights bound to her will, summoning a unit of Damned Knights Errant who can be upgraded to either Damned Questing Knights or Damned Knights of the Realm. Cylostra Direfin can summon countless lost souls from beneath the waves, reducing the cost of raising the dead and increasing the recruitment rank of her army. Cylostra Direfin is well-versed in harnessing the hatred required to master Mourngul Haunters, increasing their hero capacity and recruitment rank. Cylostra Direfin is a prima donna in more ways than one, but it works in her favour by reducing the cooldown and casting costs for overcast spells. The creatures under Cylostra Direfin’s direction are as resilient as they are terrifying, with increased physical resistance for Syreen, Mourngul, and Bloated Corpses and greatly reduced upkeep for the latter. A powerful sea witch, Cylostra Direfin benefits from a reduced miscast base chance for overcast spells as well as an increased Winds of Magic power reserve. Aranessa Saltspite’s ruthlessness earns her additional income from raiding and sacking settlements as well as increasing her chance of finding treasure maps. Aranessa Saltspite’s inspiring presence and aura of leadership increases the weapon strength and melee attack of her Sartosa Free Company units. There are few sights as terrifying as Aranessa Saltspite riding into battle on a giant, rotting crustacean. 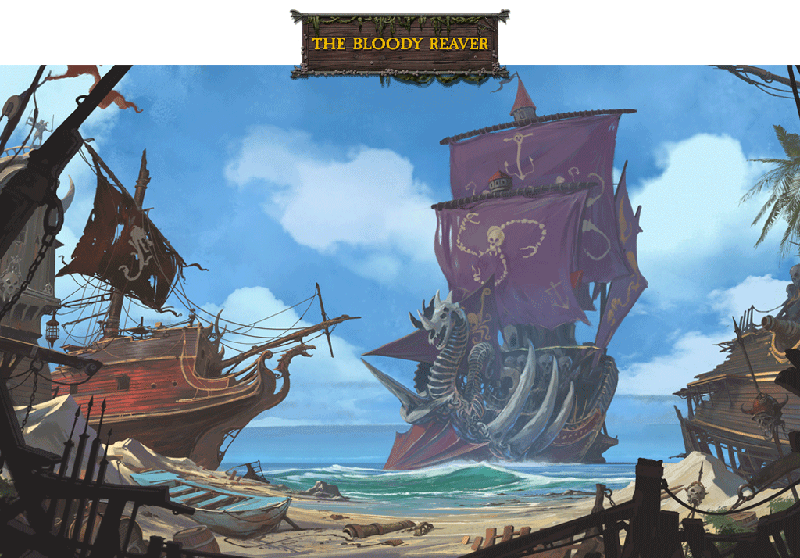 As its name suggests, Kraken’s Bane bestows Aranessa Saltspite with an aura that increases the melee attack of friendly units as well as giving them a bonus when facing large foes. Aranessa Saltspite may not be undead but she is far from human, the inherent resilience of her warped form increasing her hit points and making her immune to fatigue. 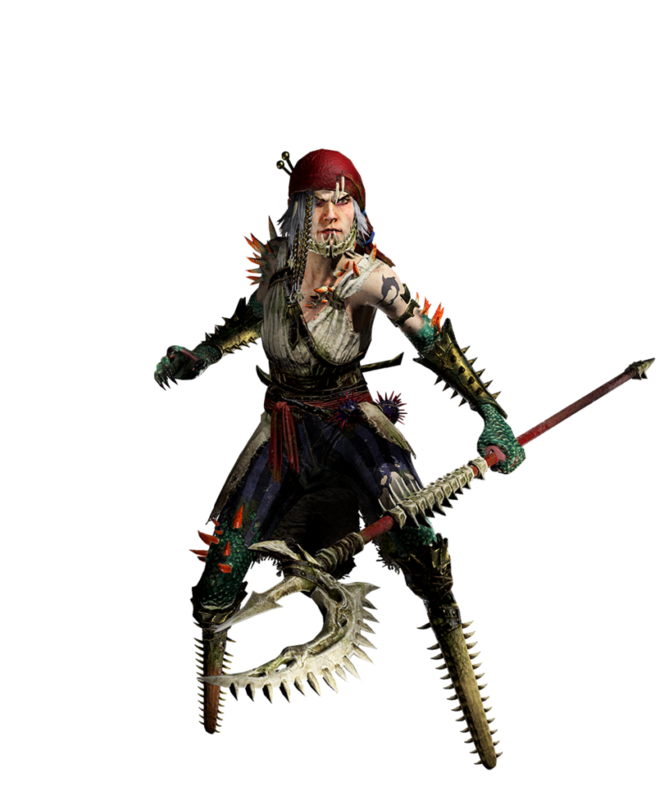 Aranessa Saltspite’s legs take the form of wickedly serrated sawfish bills, increasing her armour and weapon strength. Aranessa Saltspite’s keen knowledge of Rotting Prometheans and Rotting Leviathans allows her to reduce their upkeep and improve their missile resistance – it is clear why some believe her to be the daughter of the sea god Manann. 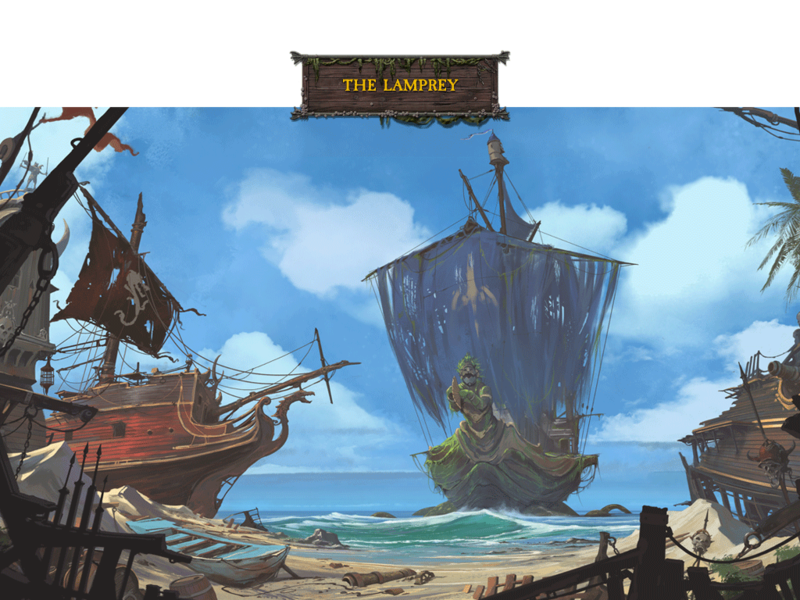 Aranessa Saltspite’s mastery of the waves brings many benefits, increasing the leadership of her Sartosa Free Company units as well as increasing her army’s movement and replenishment rates. 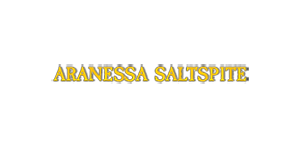 Aranessa Saltspite’s formidable gunnery skills increase the ammunition of Carronades, Mortars, and Queen Bess when part of her army. 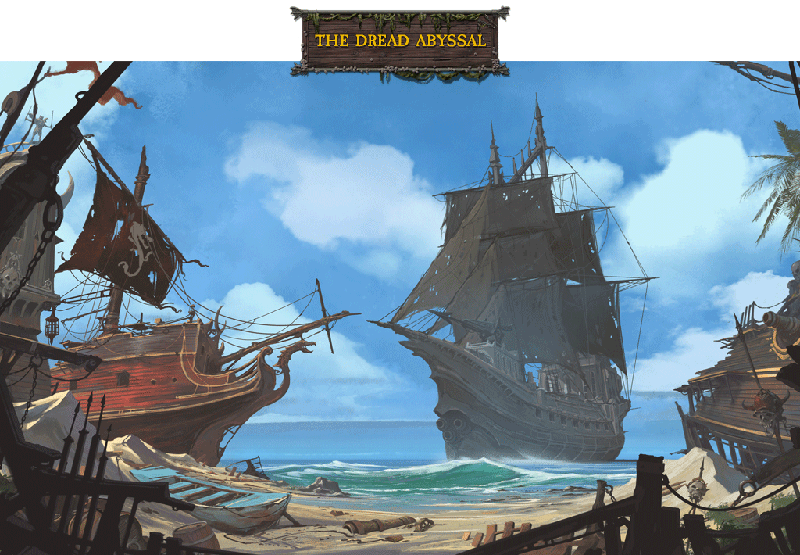 Aranessa Saltspite’s reputation as one of Sartosa’s most formidable pirate captains is well earned, her notoriety boosting her melee attack and giving her a ward save in addition to increasing plunder gained from encounters at sea. 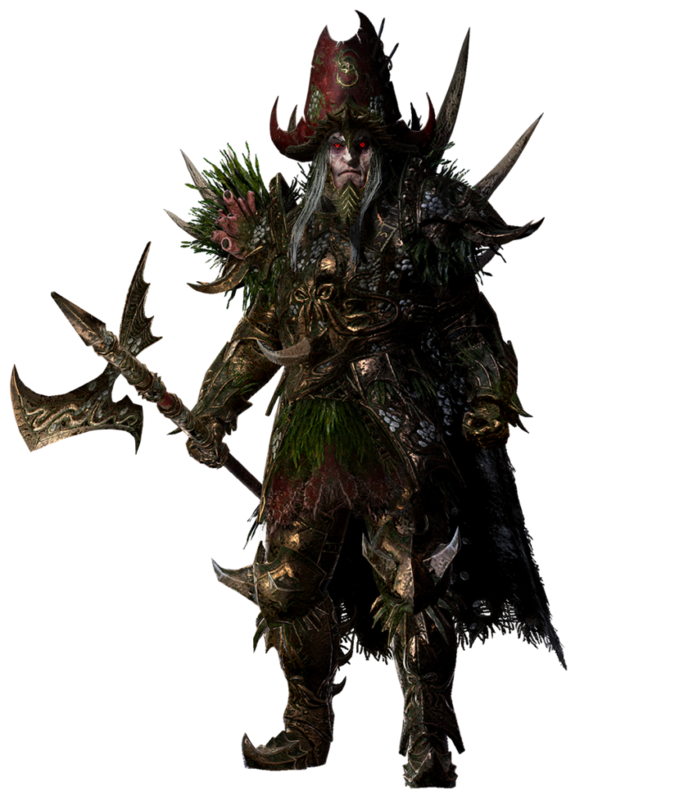 Count Noctilus’s appetite for conquest allows him to gain war-declaration missions with unique rewards and rapidly swell his ranks for the task with increased recruitment capacity for his pirate crew and reduced recruitment duration for Necrofex Colossi. As a consummate Lord of Dread, Count Noctilus benefits from reduced upkeep for Necrofex Colossi in addition to increased weapon strength for any monstrous units under his command. Count Noctilus is often seen riding into battle atop the grotesque, rotting bulk of a Necrofex Colossus. This strange trinket grants Count Noctilus increased movement and line of sight in the campaign map as well as the ability to summon Zombie Deckhands across the battlefield. 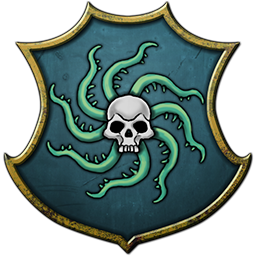 Count Noctilus is the undisputed leader of the Dreadfleet, increasing lord recruitment rank faction-wide. Count Noctilus’s preternatural powers of regeneration extend beyond merely himself, increasing the replenishment rate and recruitment capacity of his army. 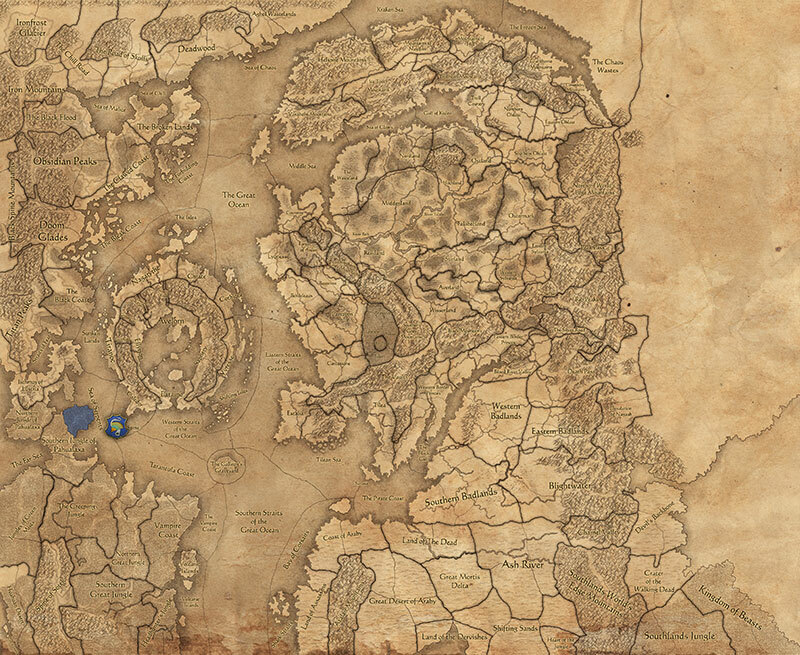 Plundering is in Count Noctilus’s blood, increasing horde growth for his ship as well as income gained from raiding and sacking settlements. Count Noctilus’s former life as Nyklaus von Carstein means he is well versed in striking terror into the hearts of his foes as well as regenerating in the face of seemingly insurmountable injuries. 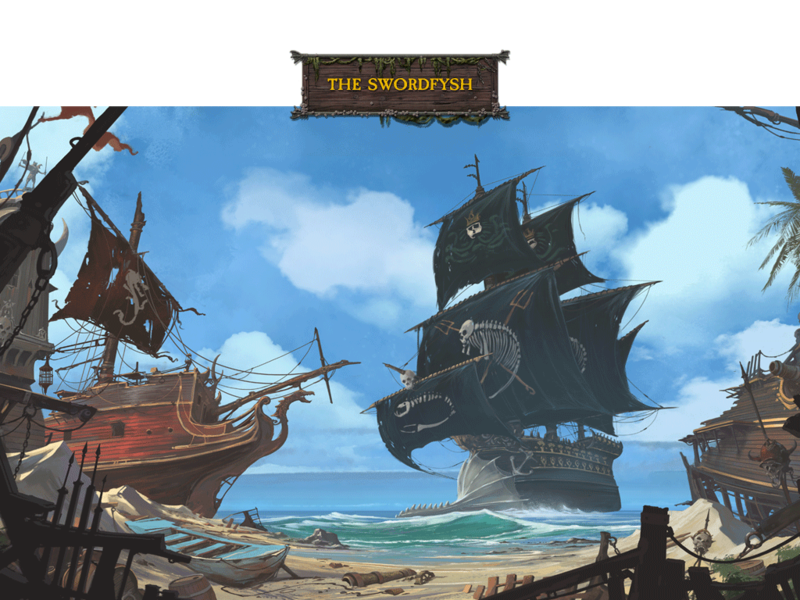 The curse of the Galleon’s Graveyard is known and feared throughout the coast but Count Noctilus has found a way to harness its power for his own gain, increasing the leadership and melee defence of his Depth Guard, Deck Droppers, and Terrorgheists. Count Noctilus and his fleet are infamous for their terrible tenacity, resulting in the leadership of his army being increased and making Noctilus himself unbreakable.